Keep on top of overgrown hedges! A neatly trimmed and well-maintained hedge can make a huge difference to your property or the image of your business. At Tree Profiles Ltd we provide a professional hedge trimming service performed by expert tree surgeons. 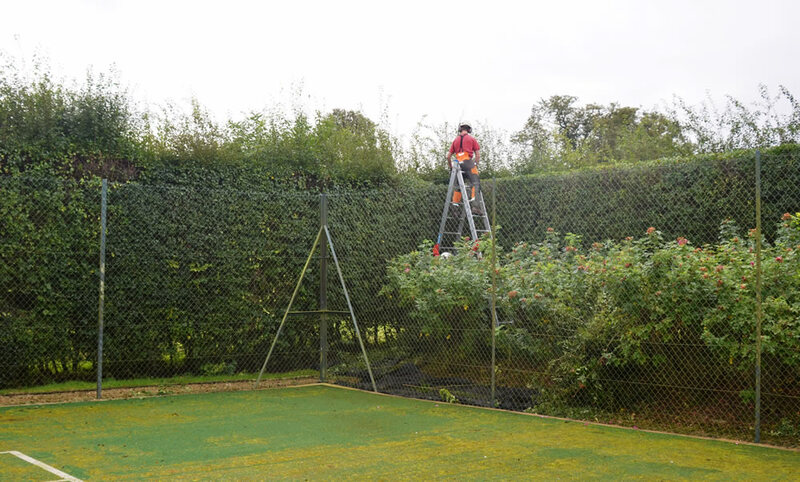 And rest assured, upon diligent cutting of the hedges, we remove all the debris from the trimmed hedges and your site will be left clean and tidy. Not sure about the best time of year to trim your particular hedges? Give us a call and we’ll tell you. Also be aware that it is against the law to disturb a nesting bird within a hedge. We act responsibly by avoiding trimming hedges when birds are likely to be nesting. Tree Profiles Ltd offer our expert Hedge Trimming service in Northamptonshire, Buckinghamshire, and Oxfordshire. We are a member of the Arboricultural Association, approved by Trading Standards and a member of Buy with Confidence.